I created these "Angel" earrings for a recent show I did, and am just now getting around to including them on my web site (shame on me)! 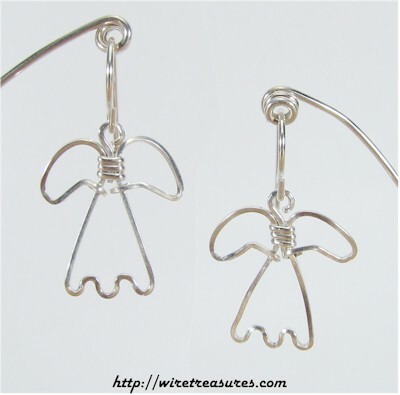 These whimsical angels will stay close by, guarding your left as well as your right (ears, that is). This design is also available with beads. You are visitor number 3,973 to this page.